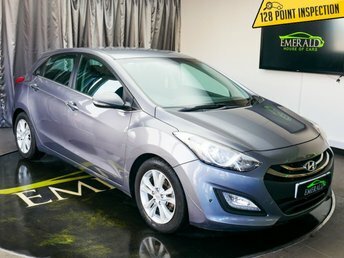 20 minutes away from Wolverhampton, Emerald House of Cars is a top second-hand Hyundai dealership. Our site, near Keyway Retail Park, has a vast selection of fantastic cars from Hyundai and other major makes to browse. We are proud of our ability to match each visitor to our dealership with their dream vehicle, while providing exceptional customer service. Our financial experts at Emerald House of Cars are on hand to ensure sure that you get a fantastic offer, whether your credit rating is good or poor. Come to Emerald House of Cars and let us take the stress out of choosing and purchasing a new vehicle.